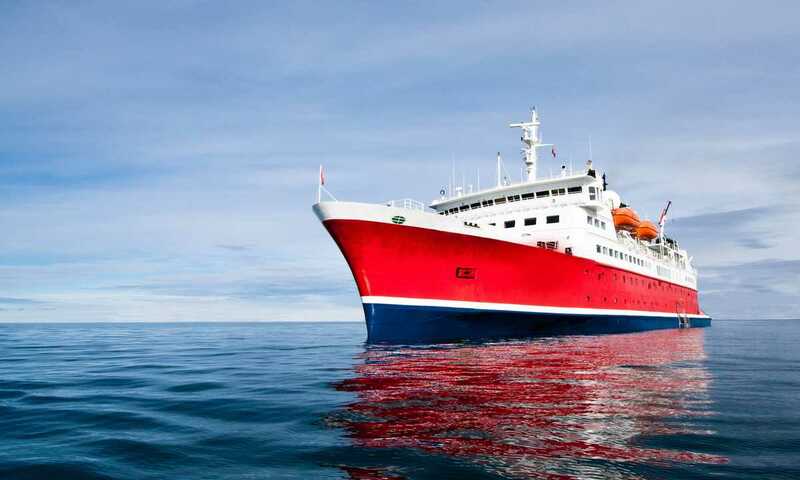 Following a $13 million refurbishment in 2009, M/S Expedition is an outstanding modern, well-designed expeditionary ship with spacious public areas and generously sized cabins. "A ship not too big, not too small", and that is exactly that. Big enough to have your own space to read or chill in front of the sea. Small enough to meet and share with the staff and travelers who become new friends. The ship was just the right size with 130 passengers, not too big, not too small, the 'expedition' element was certainly there, but the food was also amazing. The enthusiasm, knowledge and experience of the adventure staff was also incredibly high. I really like this ship's style. 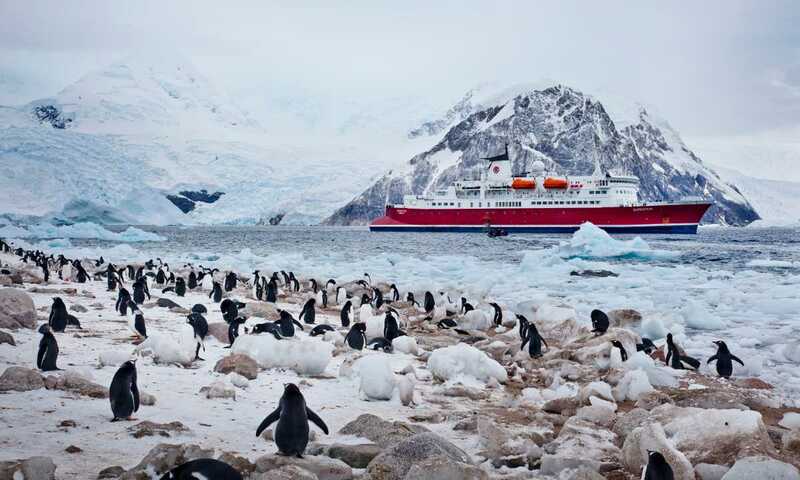 Its bright red colouring looks fantastic amongst Antarctica's icebergs, it's one of the most spacious ships in the polar fleet and the expedition staff really know their stuff. A proper expedition vessel with all the kit and caboodle that goes with that. The M/S Expedition's cabins are located on five different decks, all with en suite bathrooms and porthole or window. There are five types of cabin to choose from: quad-, triple-, twin-share cabins, or suites. 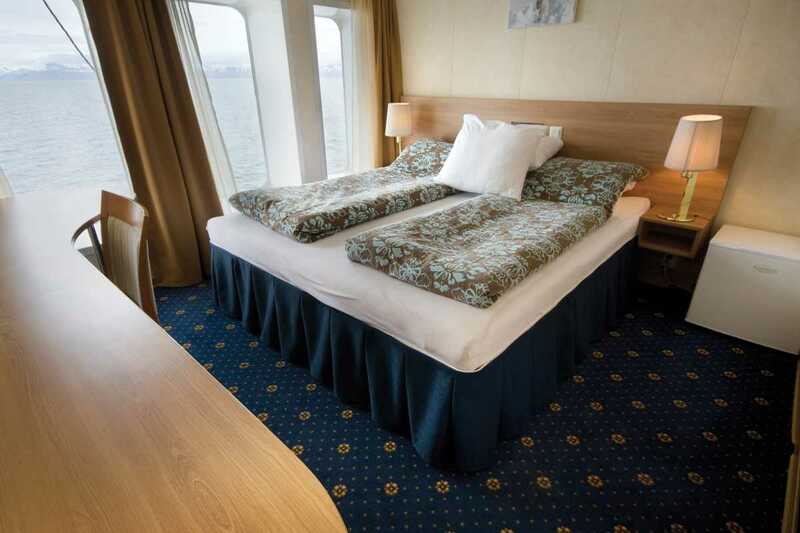 Note that all cabins consist of twin-size berths and are ocean-facing. Suites have 1 queen bed. Living area offers a comfortable couch, armchair, coffee table and desk. The separate sleeping area boasts a double bed. Private en suite facilities with shower, toilet and washbasin. Approximately 15m2 (160 sq ft) featuring a mid-sized window. Approximately 15m2 (160 sq ft) and includes a porthole view. Please note that this is only for light data traffic and that the above prices are only approximate. The prices for these services vary from season to season due to our provider's pricing strategy.